Jenny Buzzard was the recipient of a Vale of White Horse Chairman’s award in recognition of her much valued contribution to the community as leader of Radley Youth Club. 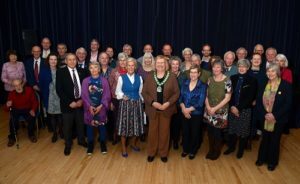 In all, 39 people from across the Vale were nominated by town and parish councils to thank them for being so supportive to their local communities and were invited to attend a lunch by the Chairman of the district council at the Beacon in Wantage. The nominees who attended were awarded with a certificate and trophy as a thank you for all their dedication and hard work. 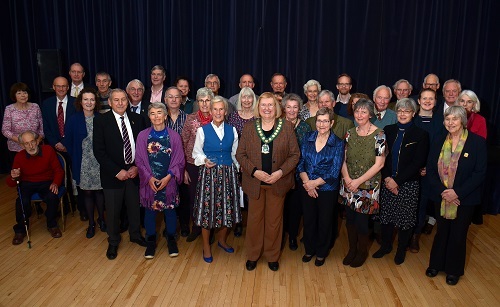 Abingdon resident Marjorie White was also nominated by the Parish Council for for her involvement in wildlife conservation as a member of and fundraiser for Save Radley Lakes and now Friends of Radley Lakes.